Geek Alabama is very active on social media. 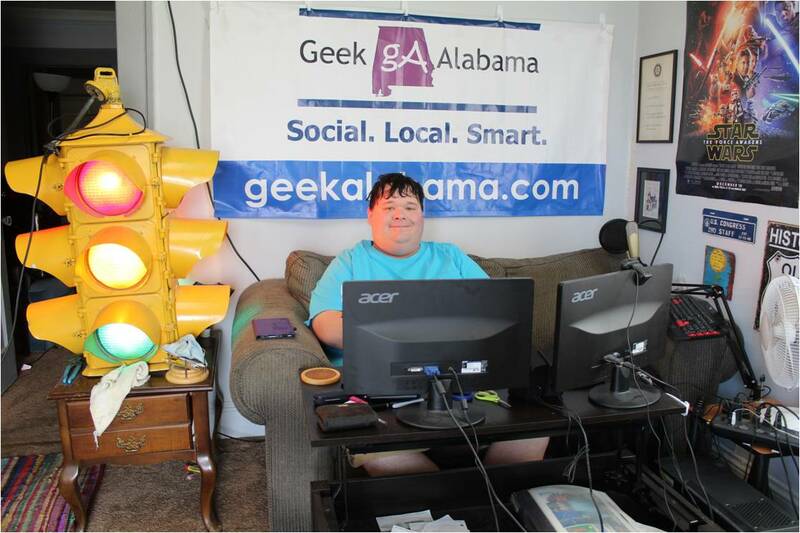 All posts posted on Geek Alabama and the photo blog Traffic Light Pixels are shared onto the Geek Alabama and Nathan Young social media accounts. Also, all pictures are uploaded onto Geek Alabama, Geek Alabama Facebook page, Google Photos, and on Flickr too! And all videos are uploaded onto the Nathan Young (Geek Alabama) YouTube channel and the Geek Alabama Facebook page too! Geek Alabama has done plenty of reviews, and plenty of people and businesses have sent me stuff to review! If you want to send something to review or want Geek Alabama to talk about something interesting, please use the contact form below! 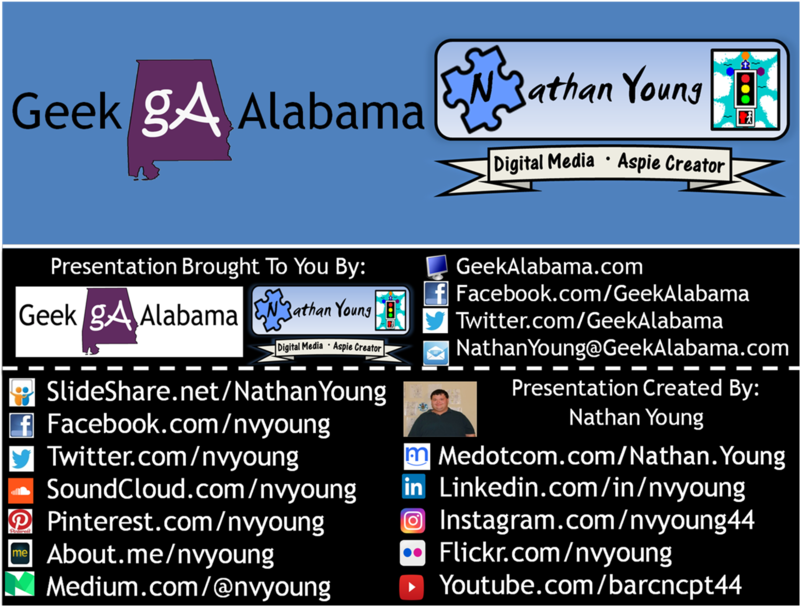 Here are where you can find the Nathan Young and Geek Alabama social media accounts.